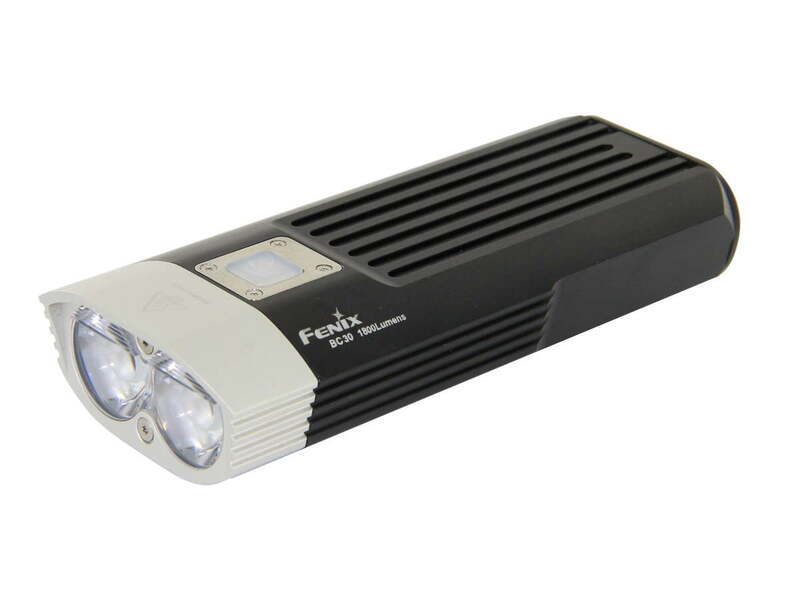 Lamp deported to a safe and comfortable – steering bike and ATV Fenix 1800Lumens – 5 modes + 1 flash mode – switch uses 2 18650 batteries or 4 batteries CR123A – autonomy of 20 h at 100lumens – resisting splash water IPX-6 – range 170 meters. 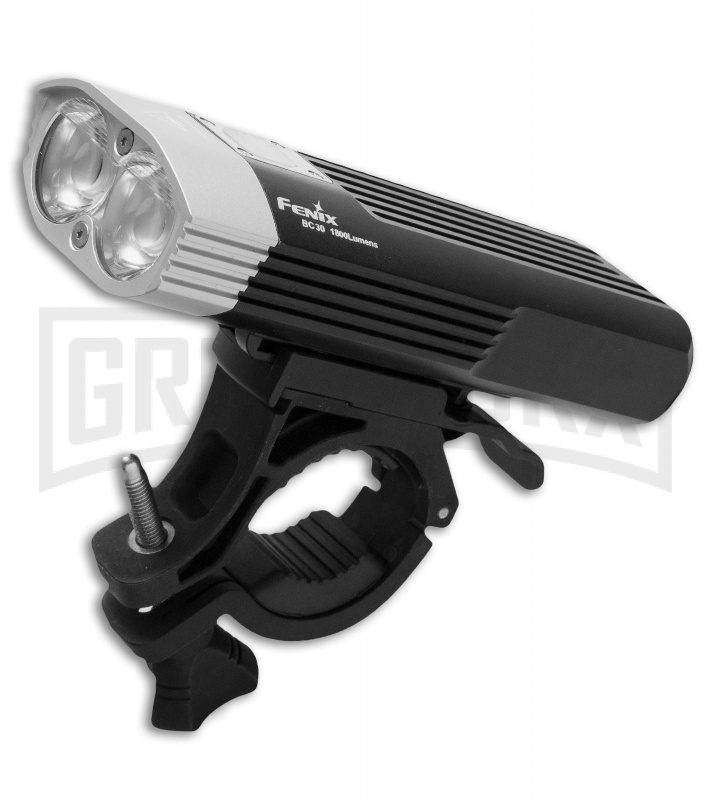 Lamp for bike and ATV Fenix BC30 ‘Dual Distance Beam System’. 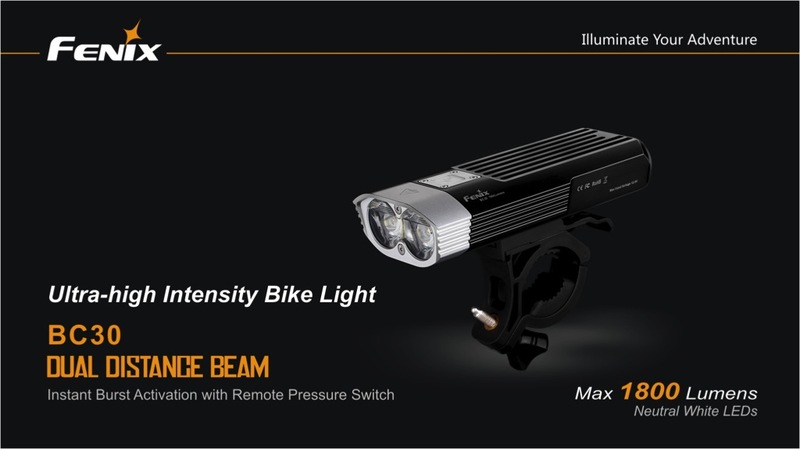 Through this system, each rider gets maximum visibility with a broader beam to short distance and a narrower beam at great distance. 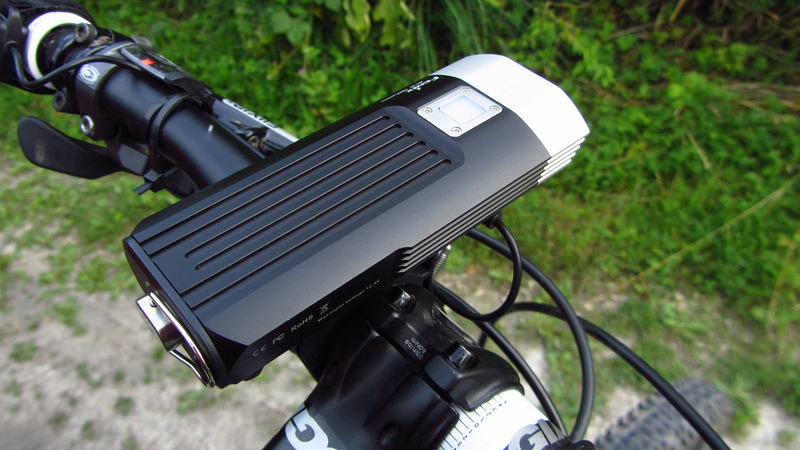 The Ebicyclelights provides a neutral white light produced by two LED XM-L (T6), for a better color rendition. 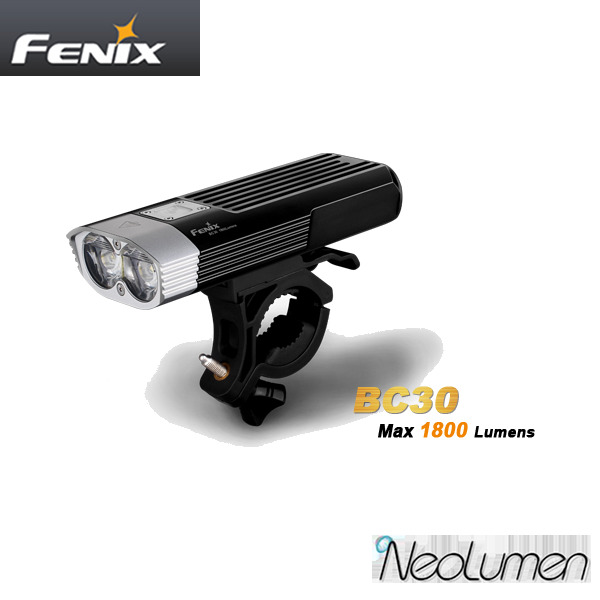 The maximum luminous power is 1800 ANSI lumen. 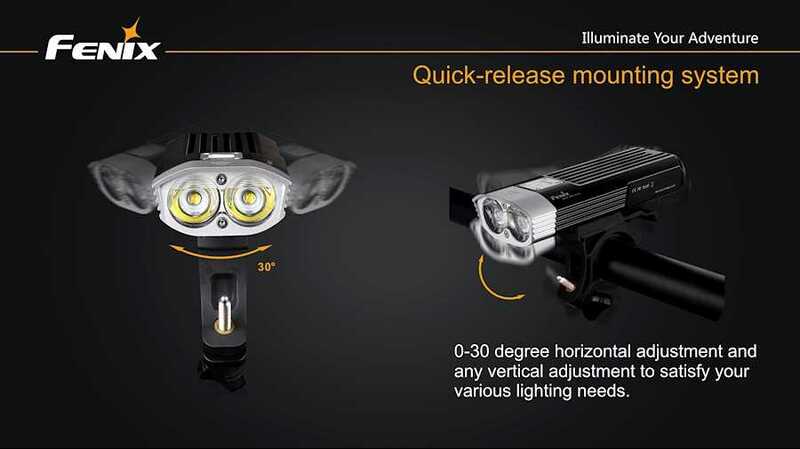 The lamp attaches quickly and easily thanks to a rubber ring is fixed to the handlebars of the bike, several rubber rings are included, allowing a fixation with diameters from 20 to 35 mm. Most of the BC30 compared to the BT20, it’s his button remote allows to control the lamp without moving the hands from the handlebars. This button allows to easily in the “Instant BURST” mode when it becomes necessary. The lamp is supplied with electricity through 2 batteries 18650-4 not included CR123A batteries. 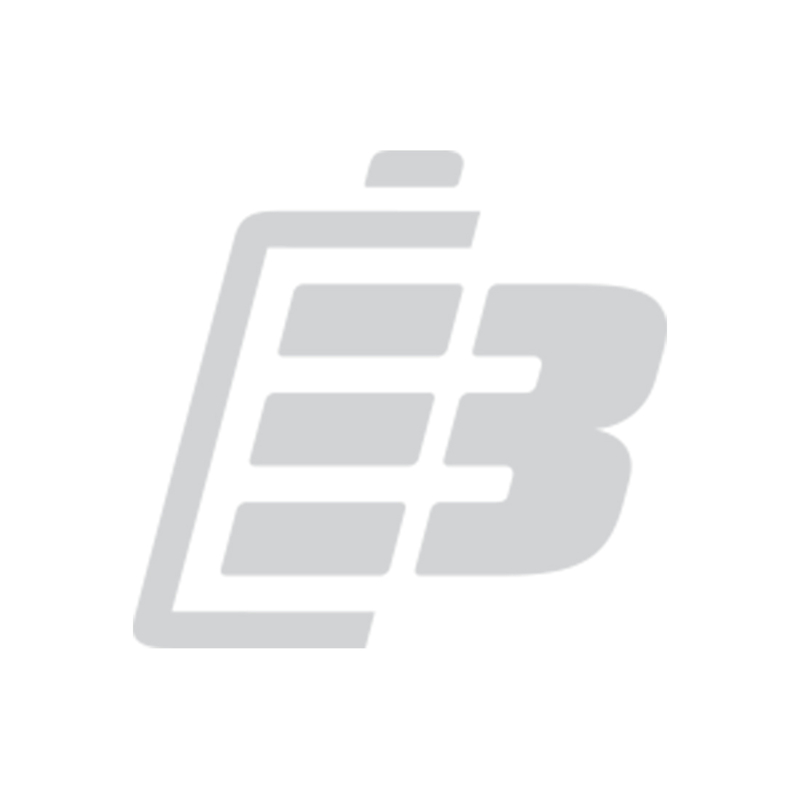 A power indicator (red / green) indicates the State of charge of the battery. 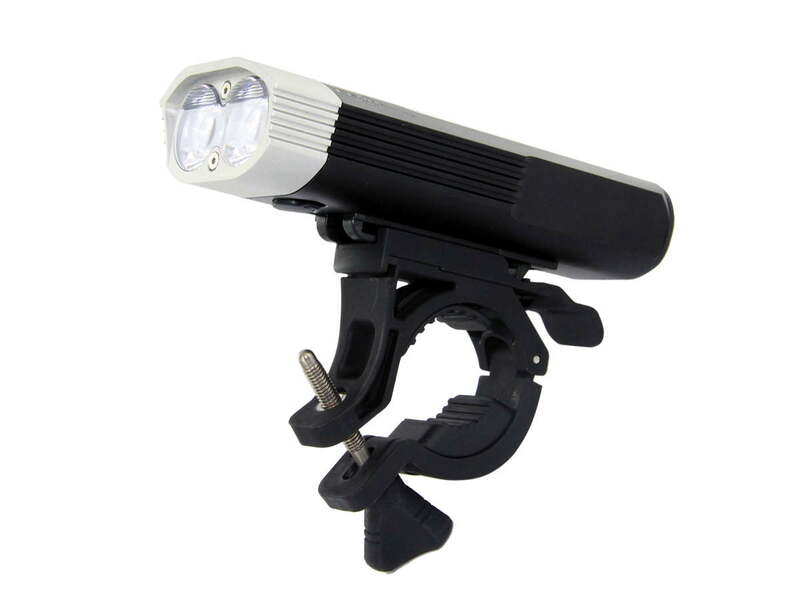 Manufactured in aluminium and palstic of very high quality for a better longevity. Protection against overload, discharge and overheating. 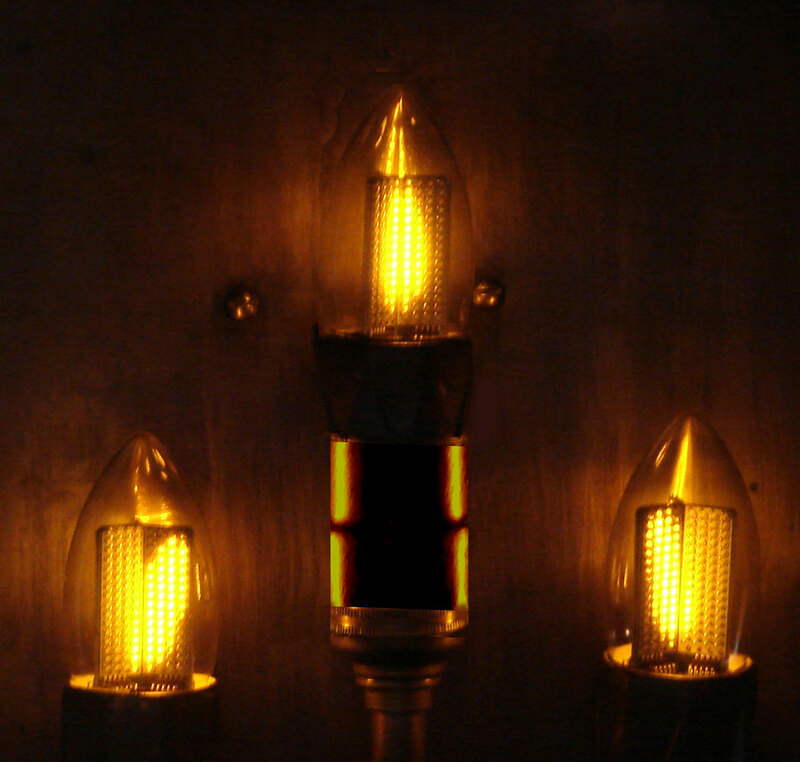 The reflector is polycarbonate and a structure in orange skin at the beginning and then smooth. 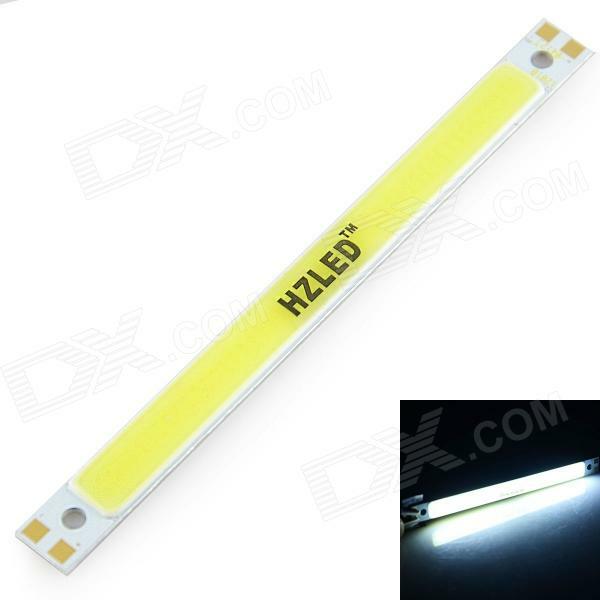 This provides an optimal light distribution without loss in distance and clarity, and width for the proximity.